Think of the liver as a primary toxin filter in the body, whereas the nearby storage tank, or gallbladder, stores the bile used to digest fats. If too much fat builds up in the liver, the bile can turn into sludge, causing the functions of both organs to decline. According to Dr. Sandra Cabot, author of “The Liver Cleansing Diet,” it's very important to cleanse the liver regularly to avoid it becoming overloaded with waste products. Adding certain herbs to your diet can assist the liver and gallbladder in flushing toxins and debris. As the name implies, this herb comes from a type of grass. According to registered medical technologist Julie Chang of Ontario, Canada, the herb gold coin grass is used in Traditional Chinese Medicine in the form of a tincture with alcohol to crush and dissolve gallstones. Pain caused by gallstones often results in surgery to remove the gallbladder, a common practice in North America. Periodically ingesting the gold coin grass herb may prevent the need for surgery. St. Mary’s Thistle, also known as “milk thistle,” is a powerful herb for the liver and gallbladder. It acts as a shield for the liver, protecting this vital organ from toxic overload. St. Mary’s thistle houses the agent silymarin, which is highly concentrated in the thistle’s seeds, according to Dr. Melissa Palmer in her book "The Guide of Hepatitis and Liver Disease.” This property has been the subject of numerous clinical studies with positive implications for enhancing the health of the liver. According to the December 15, 2009 issue of the journal Cancer, published by the American Cancer Society, the results of a 2009 study reflected that milk thistle--and specifically its herbal property silymarin--could allow patients to take potent doses of chemotherapy without damaging the liver. Originating from Russia and now a staple in North America, the beet root is an easy-to-find vegetable with medicinal benefits. Choose organically grown beets for cleansing purposes; the root part of the plant typically soaks up pesticides and other toxins from the leaves and soil. Although the leaves of the beet plant are edible, the purple root provides indirect cleansing benefits for the liver. 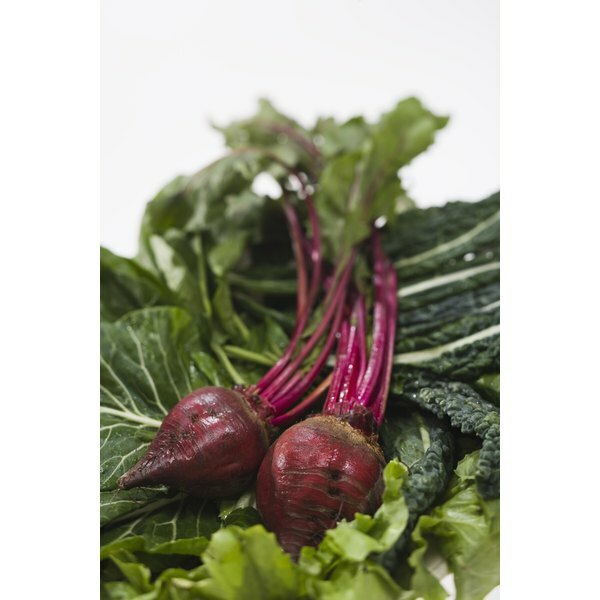 Beet roots contain antioxidant enzymes glutathione peroxidase and glutathione-S-transferase. These enzymes work indirectly to assist with flushing the liver by thinning the bile so it can more easily be moved through the liver into the small intestines, where it breaks down fats and stimulates peristalsis. The enzymes also protect liver cells from toxins. Herbs come in different shapes, sizes and textures. The silky, thread-like material from the female corn plant’s flower have cleansing capabilities for the liver and gallbladder. According to the experts at Herbs 2000, the long strands of corn silk have been used in Traditional Chinese Medicine for treating jaundice. Additionally, it's believed to increase bile production in the liver and enhance the flow of bile through the bile ducts. Corn silk is also a detoxifying herb.